And here we go again lads! The 2018 AGL tournament is set to kick off this weekend, breaking the off-season drought for many of us football-crazed fans who can’t deal with this period between SuperBowl and the Draft (yes that’s me). Probably the most unsurprising entrant this year, are the Victorian Eagles. 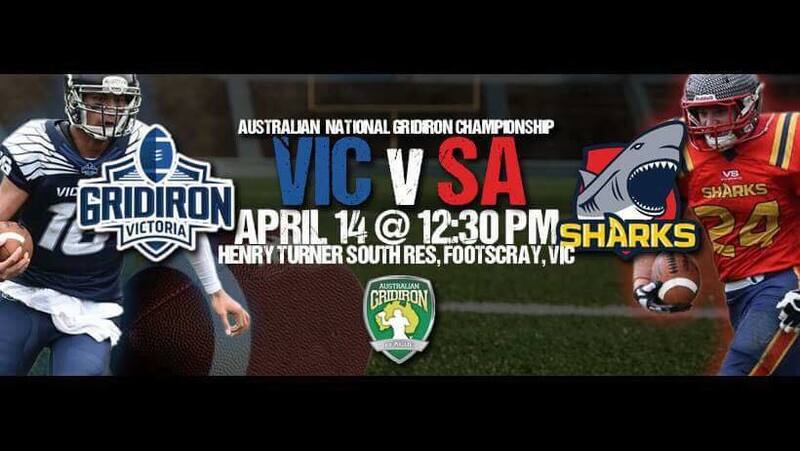 With an announcement that Gridiron Victoria would be reentering Gridiron Australia back in November last year, their inclusion into this year’s AGL was a given (as it was clearly stated in the Press Release HAHA I’m still suffering from CTE from last season, give a brother a break). This should prove to be an interesting test for the Eagles, who have been away from National Competition for quite some time. How will they fare going up against the heavyweights of QLD and WA? Speaking of the defending champion Sun Devils, they are coming into the tournament this year full of energy and ready to defend their title for the 3rd tournament in a row. However, rumours are floating around the QLD camp that they will be sporting a new look team this time around. Speaking with current QLD Head Coach John “Hollywood” Roe mid last year, he told me that some of his veteran players might move on at the end of the 2017 season. We will wait and see how their squad performs compared to that of previous years. The runners up of the 2016 tournament, the WA Raiders, are out for blood and revenge this time around. After going down by 3 points in an epic battle against the Sun Devils, they’ll be coming into the 2018 tournament looking to turn that defeat around and take the title west once again. The Gridiron West season just wrapped up as well; and with the inclusion of the Swan City Titans this season, the Raiders will enjoy a boost of talent into their squad. One player to watch will be the Gridiron West 2018 MVP Ty Henry. A former South Eastern Predator in the GV, Henry led the Titans to their first West Bowl appearance this year. Should he play, he will be a difference maker for the Raiders offence. The Raiders first opponent will be none other than the NSW Wolfpack. The Wolfpack were humbled in their last AGL appearance, going down in embarrassing fashion in all 3 games. After that, the GNSW board came together and revamped the state program, behind the efforts of Stephen Armstrong. With new head coach Jason Ray on board, he has brought youth, enthusiasm and spirit to the 2018 coaching squad. And with that, they have selected a hungry team who are ready to prove the doubters wrong. Without giving too much away (obviously I’m a NSW boy through and through), the squad is looking extremely well drilled and may cause a few upsets this time around. The final entrant into this year’s tournament are the South Australia Sharks. The Sharks enjoyed a better tournament last time around, going down to the eventual finals entrants QLD and WA; but were able to get one up on NSW and hand the Wolfpack a home loss. The Sharks are experiencing a similar transition to the Sun Devils, in that their veterans have moved on from playing positions. The most prominent is former DE/LB Carlisle Jones. Having bolstered the Sharks D Line for the last few years, Jones has now transitioned over to Defensive Coordinator and will surely bring his wealth of knowledge to this year’s squad. Like I said at the top of this article, the AGL kicks off this weekend with 4 teams going head to head, whilst the 5th enjoys an extra week off to prepare. NSW will host WA at Robert Ziems Park in Corrimal, whilst Victoria will enjoy their first AGL match in a few years, at home, against SA. QLD will have a bye this week and this will be the format of the entire competition over the next 5 weeks. Details on this weekend’s games are below, including locations. And before I go, keep your eyes here with us at Gridiron Down Under as we will be bringing you weekly previews and wrapups of the entire tournament. And also, stay tuned for details on the 2018 WAGL which will be played over 2 weekends in Western Australia later this month. More details on that in the next few weeks.